It's no more news that Glo data network doesn't come up on sims without active data. This has been a barrier to so many Glo subscribers as they can't enjoy the ongoing Glo unlimited free browsing cheat. It's quite sad though, but not to worry because i got your back here on Entclass Blog. The people that are currently having this "data network not coming up" on Glo are those users that just finish exhausting their data bundle. Glo automatically switch off data network when your data subscription get exhausted. Not until you subscribe again, it will never turn on. 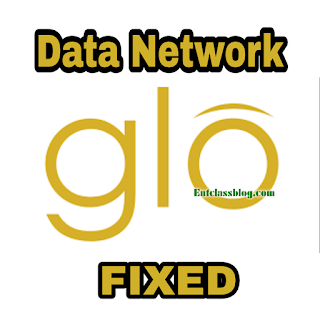 We really need the data network inorder to browse free on Glo, and i am here to teach you how to turn on your Glo data network without subscribing to any data plan. I have tested it on a friend's Glo sim and it worked like charm. I also had same problem and i will show you how i brought the data network back for me to browse and use Glo 0.00 free browsing cheat again. It's very simple. What you have to do is to send PAYU to 127 as a text message. This will opt you in for Glo Flexi package that allows you to browse with your airtime. And boom, your dead 3G data network will resurrect and you should now start flexing your Glo free browsing cheat. NOTE: This only works on Glo 3G sim. That's all. If you have any problem or confused about this post, kindly leave a comment below. UPDATE: Glo has stopped giving data network to users if you don't have active Data. So if you don't have data on your Glo line, you won't be able to browse with your airtime or see the data network. So as to say, Glo 0.00 free browsing has been affected by this. mr. victor.. please any other available cheat we can use for d main time?? U mean after subscribing for the 50mb the cheat wont still work? Yea sir. The data network will stop displaying. How do I get the data Icon back .....wanna sub for real data ....what do I do? Good updates, this would help a lot. Hi Victor Onyeakachi, I am so happy for your Tutorial, it seems you're working with the spirits of Most Nigeria, your post helped my Glo regain back strength. Good, Nice one, thanks for the Post, I will work on this. I've 0.04 on my phone, could that be the reason? Some people still complain that their data isn't coming up even after sending PAYU. At this point, the problem is from some selected Glo Sims, as my own data network is coming up without having data plan.